On 18 October 2017 His Highness Sheikh Mohammed Bin Rashid Al Maktoum issued Law No. 19 of 2017, amending Article 11 of Law No. 13 of 2008 which regulates the Interim Real Estate Register in the Emirate of Dubai (“Law 19”). 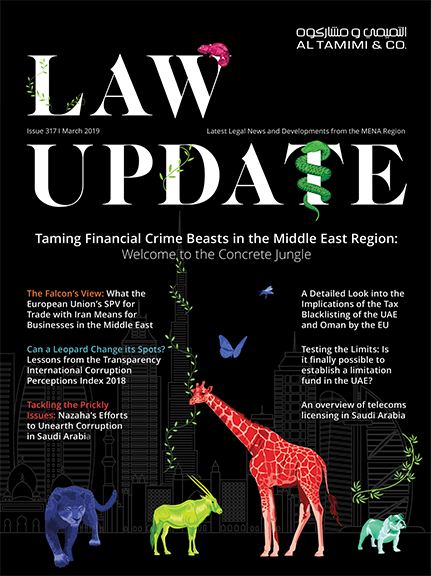 Law 19 outlines procedures to be followed by a developer in the event of default by an off‑plan investor, leading to termination of the sale and purchase agreement (“SPA”) and de-registration of the SPAs by the Dubai Land Department (“DLD”). These procedures are a matter of public policy and a developer is not permitted to contract out of its obligations. Article 11 was initially amended by Law No. 9 of 2009 which was then subsequently further explained in Articles 15 and 16 of Executive Council Resolution No. 6 of 2010. Law 19 takes effect from the date of its issuance, being 18 October 2017, and will apply retrospectively. The only exception to the application of Law 19 is in the case of land sales that have no off-plan sales, which remain subject to the provisions stated in the SPA. Law 19 also implicitly confirms the right of the DLD to de-register off-plan SPAs in the event of termination without the need to obtain a court order. How can the developer terminate? Notification to DLD by developer: A developer must inform the DLD of any default committed by the off‑plan purchaser pursuant to the terms of the SPA. The developer’s notification to the DLD must set out a description of the default, details of the purchaser and developer, a description of the property and any other detail as requested by the DLD. DLD Notice to purchaser: The DLD will consider the developer’s request and upon necessary verification, the DLD will serve a written notification to the defaulting purchaser (by way of registered mail, email or any other approved method by the DLD) with a 30 days’ notice period to rectify its default (“DLD Notice”). The DLD may also initiate amicable settlement between the parties and if a settlement is possible, the parties will enter into a settlement agreement. Issue of DLD Report: If the purchaser fails to rectify its default within the said 30 days’ notice period of the DLD Notice or fails to settle the issue with the developer, then the DLD will proceed to issue its report, which will state the following: (i) the developer satisfied its obligations pursuant to Law 19; and (ii) the current percentage of completion of the property (“DLD Report”). The issue of DLD Report indicates that the DLD shall de-register the SPAs upon the request from the developer without the need for any court order or arbitration award. to terminate the SPA unilaterally without the need of obtaining a prior court order and retain 40% of the purchase price and return the excess amounts back to the purchaser within one year of date of termination or within sixty days of the date of successful resale of the property to a third party purchaser, whichever is earlier. If completion is between 60 to 80%: In the event that the percentage of completion of the sold property is between 60% to 80%, the developer has the option to terminate the SPA unilaterally without need for further court order and deduct no more than 40% of the purchase price and refund the remaining back to the purchaser either within (1) year of date of termination or within (60) days of the date of successful resale of the property to a third party purchaser, whichever is earlier. If construction has not commenced: In the event that the developer has not commenced construction of the real estate project due to reasons beyond its control and without any negligence on its part, then the developer has the right to terminate the SPA unilaterally without the need for a further court order and deduct no more than 30% of the amount paid by the purchaser and refund the remaining amount back to the purchaser within sixty days of date of termination. Where a real estate project is cancelled by RERA, Law 19 obliges the developer to refund all paid monies back to its purchasers in accordance with Law No. 8 of 2007 concerning real estate development trust accounts in Dubai. If the defaulting purchaser is of view that the termination by the developer was not done in good faith, then Article 11 (4f) of Law 19 allows such purchaser to approach the courts or arbitration to challenge the termination. Law 19 has certainly stirred the real estate market in a progressive manner whereby investors are encouraged to comply with their obligations, failing which the developer has the right to terminate and de—register the purchaser’s SPA from the DLD’s interim real estate register with clear steps laid out in Law 19. Also, Law 19 is an important pillar for the off-plan regime in Dubai and will help developers to save the cost and time arising from unnecessary litigation. Law 19 clarifies a widespread misunderstanding which existed prior to the enactment of this law, namely whether an order from the DLD is sufficient to terminate a SPA or whether a developer is also required to approach the court to obtain an order confirming termination of a SPA. The most important aspect of Law 19 is the developer’s right to unilaterally request from the DLD termination of the SPA without a court order. Termination of the SPA by the developer in the above manner indicates that the DLD will legally deregister the SPA in the DLD Interim Property Register upon the developer’s request, without the requirement of a court order confirming the termination. Nonetheless, the purchaser still has the right to challenge termination before the Dubai Courts in cases where the developer has abused its rights under Law 19. Another notable feature of Law 19 is that the DLD shall only consider the relevant completion percentage, of the unit which is the subject matter of the dispute, rather than the total completion percentage of the project. The general practice followed by the DLD prior to the enactment of Law 19 was to issue completion certificate for the project as a whole rather than issuing a certificate for the relevant unit. Although Law 19 provides that the developer may terminate the SPA unilaterally, in our view, in order for the provisions of Law 19 to be applicable, the procedures for terminating a SPA should be commenced by notifying the defaulting purchaser through the DLD. This means that, in cases where the developer has already served a notice on the defaulting purchaser prior to the issuance of Law 19, then the developer should recommence the notification process by serving a notice through the DLD in order to comply with the formalities of Law 19. However this particular legal question has not been tested before Dubai courts, thus there is no precedent to follow and it is yet to be seen how Dubai courts shall interpret this issue.